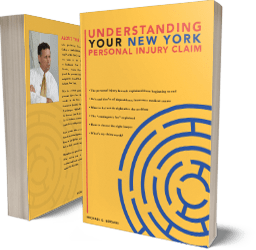 You really need to be a New York personal injury lawyer to figure out for sure what a statute of limitations is on a negligence or malpractice case in Syracuse or the surrounding areas. It depends on many factors, but essentially three (1) your age; (2) the type of claim, and (3) the type of defendant (wrongdoer). Age: If you are under 18, you are considered a minor, and your statute of limitations does not even start to run until you are 18. For example, if a one-year old is injured by someone’s negligence, and the statute of limitations normally is three years, his statute of limitations does not run out until he turns 21 (three years from his 18th birthday), that is, 20 years after the accident or injury! Type of defendant: If the defendant is a New York public corporation or municipality (such as a city, town, county, fire district, village), the statute of limitations for negligence is generally one year and 90 days, but for wrongful death two years. Some “Public Authorities” have even shorter statutes of limitations, such as one year. If the defendant is the State of New York, the claim must generally be filed within two years both for negligence and wrongful death claims. For claims brought against all these public entities, generally you are required not only to file a lawsuit within the statute of limitations, but you are required much earlier to file something else called either a “notice of claim” (against a municipality or public corporation) or a “notice of intention” or “claim” (against the State). Generally you are required to serve these within 90 days of the accident or injury. Sometimes the start date for the running of the statute of limitations, or the time limit for serving the notice of claim, is “tolled” (doesn’t start) until some date after the accident or injury. For example, in wrongful death cases the time to serve the notice of claim against a municipality is tolled until an administrator or executor of the estate of the deceased is appointed (within certain limits). All these time limitations can be quite complex, so you should have an experienced lawyer calculate your time limitations for you. Type of case: When suit is brought against a private individual or corporation, the statute of limitations are generally as follows: 4 years for breach of warranty, 3 years for negligence, 3 years for professional negligence such as legal or accounting malpractice, but 2 1/2 years for medical malpractice, 2 years for wrongful death, and 1 year for intentional torts such as assault. The above time limitations can be generally followed, but there are lots of exceptions and complexities that a good Syracuse New York accident lawyer will consider and not overlook. For example, if the wrongdoer was charged with or convicted of a crime, that might make the statute of limitations “toll” (stop the clock from ticking) for some time. Or if the injured person is disabled or mentally incompetent, the clock might also be stopped. Or if you have a case against your doctor or lawyer for malpractice, your statute of limitations sometimes does not start to run until the last date the doctor treated you for the same condition or medical problem or the last date the lawyer represented you in the same matter you are claiming he mishandled. Further, depending on the type of case you are bringing, the statute of limitations clock may start ticking when the wrongdoer committed the negligent act (for example, when a lawyer or doctor actually commits the malpractice), or it may not start until much later, when the actual injury occurs (for example, in product liability cases, where the defective product is designed and manufactured, but does not cause the injury until many years later). These rules can be very unfair at times. For example, if your doctor negligently fails to diagnose your breast cancer, the statute of limitations starts running on the date he negligently failed to do so, even if you only discover you have cancer, and that he malpracticed you, three years later, after the 2 year statute of limitations for medical malpractice has expired! Don’t rely on informal online information to determine your personal injury Statute of limitations. Instead reach out to our Syracuse New York personal injury attorneys to find out for sure.